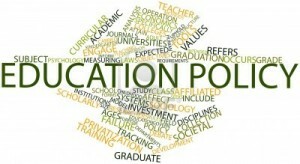 Some people may ask themselves what an education policy analyst is if they have an interest in the shaping of education. Despite their lack of recognition, education policy analysts play a rather important role in developing solid educational policies. They act as advocates for programs that need critical funding by demonstrating that these programs address a specific issue within local or regional communities. In short, their work helps create sustainable educational policies that are beneficial on a larger scale. Education policy analysts are responsible for researching and interpreting current educational policies and their effects on communities, according to Inside Jobs. Subjects that they cover include teacher salaries, adult education, job training, graduation rates in certain communities, class size and school size. For example, what if a school board notices that a large amount of families are moving into the area? They will want to figure out the maximum number of students they can accommodate and provide for without lowering their standards for student education. They can then hire an education policy analyst who will look at the school’s physical size, safety capacity, test scores and teacher-to-student ratios. Using these facts, they can then come to a conclusion about what would be the upper limit for the school’s student population. They may use this research to convince the school board to build new schools. They may even continue the research on a wider level and lobby local politicians to create new legislature that regulates class sizes in public schools. Education policy analysts may be hired by lobbyists, lawmakers, think tanks or other official institutions in order to conduct certain types of research that focus on a specific issue, according to Concordia University. Eventually, their recommendations may be passed along to lawmakers who can then change or maintain existing regulations. The work that these analysts perform helps shape long-term goals for education in a certain area. They may work in teams or by themselves, but they always end up providing useful insight into every aspect of education. Most educational policy analysts have at least a bachelor’s degree. In addition, they should have some experience working in schools. Most educational policy analysts will enter the field after some time serving on boards of education in their region. Some education policy analysts have degrees in fields such as child psychology, finance or public administration. They use their knowledge of these related subject areas to help them as they study trends in educational issues. Without education policy analysts, societies will lose the ability to predict what educational systems will need in the years to come. These analysts are able to look at current statistics and details in a detached manner and project what will be successful and what will become an issue over the next few years. They have a hand in the development of curricula, behavioral policies and more. The work that these analysts do is vital to the health of any educational system. What is an education policy analyst but a person who helps design the future of education by using the tools supplied to them today?